From epollbook connection errors to ballot marking device touchscreen miscalibration, technical issues are leading to long lines and decreased voter confidence in elections. At the same time, younger voters are becoming engaged in the electoral process for the first time. Local and state officials can leverage this enthusiasm by identifying a new roles for digital native volunteers who have grown up with mobile devices and social media networks. Civic-minded community members with technical skills or IT support experience can combine their knowledge and talents as technical volunteers for Election Day and beyond. Polling locations with modern equipment such as epollbooks, ballot marking devices, and precinct scanners require technical volunteers who are comfortable setting up, operating, and troubleshooting them. Voters can sense stressful situations when equipment is not working properly, and that has a negative impact on voter confidence. The information below will help you understand where to find these Information Security (infosec) professionals and how you can get them involved as technical volunteers. Modern voting equipment is becoming increasingly more complex and can be difficult to operate and troubleshoot for users that are not technically-savvy. Today’s volunteers are being asked to perform functions that are much more technical in nature. It is unreasonable to expect to train all existing volunteers to be more proficient with operating and troubleshooting all of the equipment. What’s more, dedicated technical repair teams can be quickly overwhelmed when things go wrong. Delays can compound depending on the travel time between locations and prioritization of issues. Election administration never stops. Election-related activities begin months before and continue months after Election Day. The focus on improving cybersecurity involves raising awareness about technical risks and driving change in the equipment, policies, and procedures of elections. Many jurisdictions, especially those without dedicated IT support, can benefit from integrating a small number of technical volunteers into those pre- and post-election activities. Supervised technical volunteers can be used to supplement internal staff or external contractors for basic to moderate tasks. 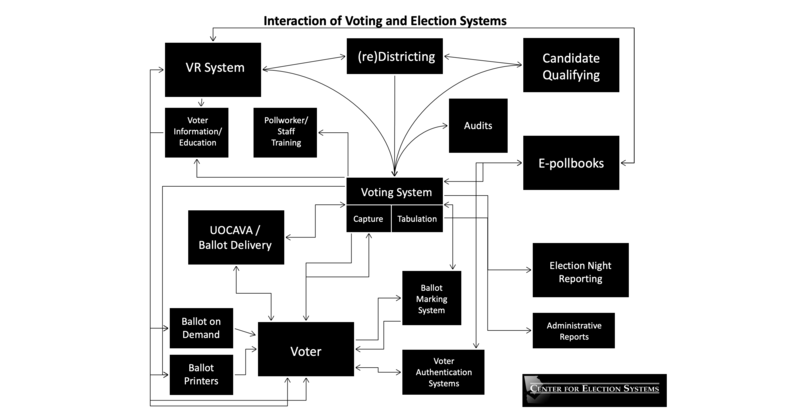 There are numerous opportunities for technical volunteers to be useful supporting the complex interactions between voting and election systems. Every community has civic-minded infosec professionals that have the potential to make successful technical volunteers. The challenge is reaching these potential volunteers in non-traditional areas. Partnership with established organizations can help build institutional relationships based on trust and accountability, and provide a pipeline of technical expertise your volunteer pool. Potential volunteers can refer to CDT’s Infosec Toolkit for Election Volunteering Toolkit to better understand the election process and volunteer roles. For more info, please contact Maurice Turner, CDT Senior Technologist, at [email protected], and Joseph Lorenzo Hall, CDT Chief Technologist, at [email protected]. Additional election security resources: http://bit.ly/CDTelectsec.